As another year begins, we wanted to take a look back at all the things that made 2017 such a successful year. None of these successes would have been able to happen without the support of our wonderful donors. What you have done for Ethiopians in 2017, and what you continue to do is nothing short of incredible. Last year our partner the Association for Women’s Sanctuary and Development (AWSAD) were able to provide safe housing for 180 women who were survivors of domestic violence and their 60 children. These survivors are incredibly vulnerable women, many arriving at the safe house heavily pregnant. In fact, 70% of these children were born in the safe house. During their time at the safe-house, these women have received psychosocial support for these survivors as well as medical services, transportation, child care, food and costs of living. 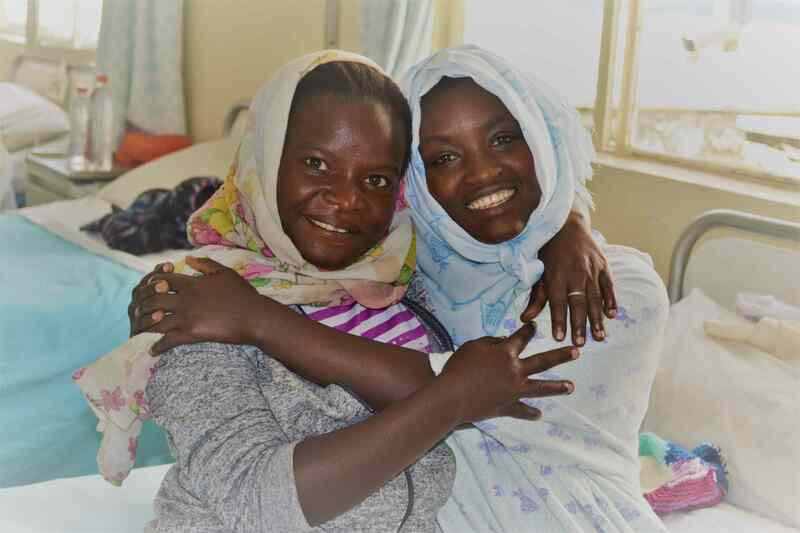 Our Partner Healing Hands of Joy have been able to train twenty fistula survivors through their Rehabilitation and Reintegration Support Program to become Safe Motherhood Ambassadors. Thanks to you, these women have been enabled to lead full and productive lives within their families and communities whilst promoting the importance of advancing maternal health standards, utilising family planning methods, and improving attended birthing rates. Additionally, sixteen of their male family members have attended a men’s workshop about obstetric fistula sensitivity, and 147 more people from two woredas (districts) have attended workshops about how to support victims of obstetric fistula. Your support hasn’t just provided surgeries for women who have suffered in silence and isolation from this horrible condition, often for decades. It has given women the confidence and the knowledge to return to their communities and ensure that other women don’t lose their babies and do not suffer from this preventable condition anymore. Dignity Period, our partner working in the Tigray region, have been able to continue their work providing menstrual hygiene kits to girls and menstruation information booklets to boys throughout schools in rural and remote areas of the region; aiming to break the taboo of menstruation throughout Ethiopia and give girls free access to hygienic and discreet ways of managing their periods. Because of you, the lives of over 3,500 girls and boys have been directly impacted. Your donations purchased 1,877 dignity kits and information booklets for girls aged 10-14, and an additional 1,709 booklets for boys aged 10-14. We are looking forward to sharing some more information with you about Dignity Period’s amazing work in the coming months, so keep an eye out! Thank you again for all you have made possible throughout 2017, we can’t wait to continue in 2018!